A sweet little Song Sparrow. This guy was very photogenic and I got a number of shots of it. It was enjoying the sun on a cold day. This entry was posted on 2014/11/19 by Robin. 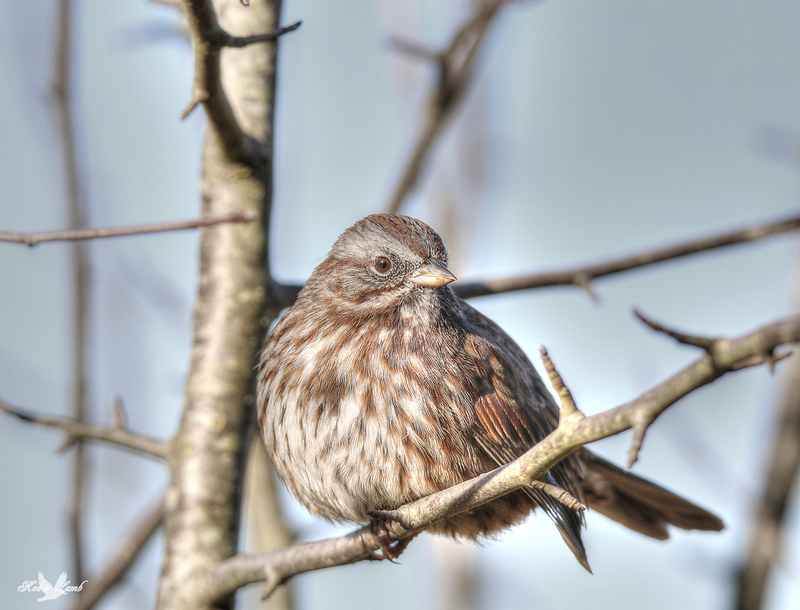 It was filed under Birds and was tagged with B.C., Cold, Frosty, Ladner, Reifel, Song Sparrow, Sunny. Love the softness in color and texture. Great shot! Beautiful, the Song Sparrow that whistles out a tune, or does it? Bob, I’m not sure, but I don’t think it has much of a song! Yes,he is very photogenic,showing you his best side,no doubt. Ruth, I was surprised! It didn’t shy from me at all!